Emu Heights: Merrick Property Group, 90/84 Old Bathurst Road, Emu Heights, NSW. August 18, 2019 – 9am to 5.30pm. Goulburn: Yoga Presence, 131 Auburn Street, Goulburn, NSW. May 5, 2019 – 9am to 5.30pm. When you teach yoga to children, you awaken their innate intelligence – as well as your own. 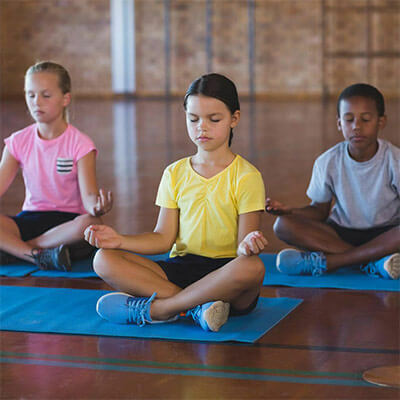 Resilience and confidence: Preparation for high school and adolescence is an important time to teach children yoga skills that will increase their resilience and confidence. Self-esteem and positive self-image: Negative self-image can develop early in life. Yoga helps to build self-esteem and self-acceptance through a variety of postures and techniques. 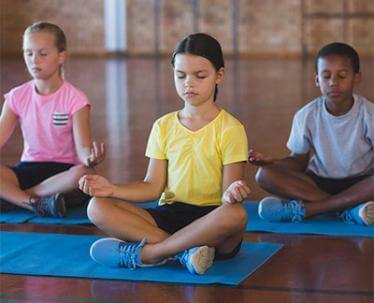 Emotional health: Yoga helps kids manage their own emotional ups and downs through simple breathing, movement and relaxation techniques. Physical coordination: Yoga teaches body awareness through postures and helps children to build strength and confidence. You do not need previous yoga experience to take this course. You will receive full training and support. 9–12 age group. You will also receive a training manual covering the course content and video clips of yoga postures. View more Kids Yoga Education courses here or contact us for more information.